In trying to revolutionize education, amazing strides have been made in the last few years, but so many of them don’t spread beyond the local level. Real movements for change need a critical mass of interest and a force to help drive them. TED, the conference series that highlights groundbreaking ideas and people across every discipline you can think of, has in many ways become an informal voice for the “change education” movement. This week TED made it offical by announcing a new initiative called TED-ED. The TED-ED Brain Trust is a private forum created to shape and accelerate TED’s push into the realm of Education. The aim of this community is to assemble a new archive of remarkable TED-ED videos, each designed to catalyze learning around the globe. Unlike TEDTalks, TED-ED videos are less than ten minutes long and may assume a variety of different formats. At present, the non-profit association has an open call for interest. “We’re seeking the expertise of visionary educators, students, organizations, filmmakers & other creative professionals to guide, galvanize & ultimately lead this exciting new initiative,” TED posted on a TED-ED Brain Trust interest form. The Brain Trust will pool together these formative ideas to help shape TED-ED, which will later showcase videos, too. According to a report from The Chronicle of Higher Education, TED-ED will also maintain a list of existing TED talks that relate to educational issues and will re-categorize them in a way that makes sense to educators and learners. 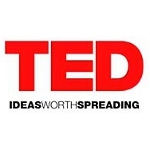 Currently, TED tags its talk with terms like “jaw-dropping” and “courageous,” which encourages exploration, certainly, but is less useful to educators and administrators looking for ideas and motivation in specific fields or business issues.